Unity can be confusing. Are there any essential teachings? If so, what are they? 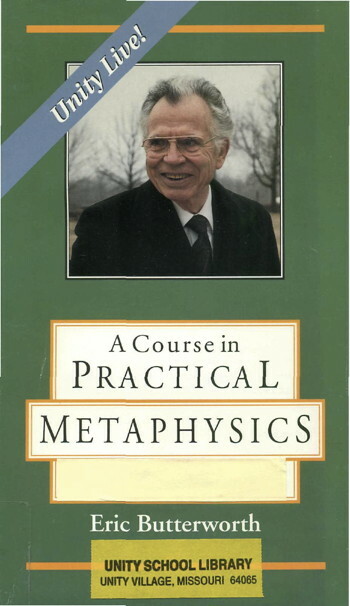 In 1981 when Eric Butterworth gave his 8-week series of talks on Practical Metaphysics, he spoke about the same topics that Charles Fillmore wrote about in Christian Healing, which was his only book for the first 30 years of Unity's history, and that Emilie Cady wrote about in Lessons In Truth, which Unity has always declared to be its basic textbook. These talks will clarify and deepen your understanding of what it means to live metaphysically, they will inspire you to focus on what has proven to work for nearly 120 years of Unity's teachings and they will awaken your desire to live from the centered place of your own truth. I hope you listen to them deeply, because they will change your life. These talks are one of the most popular items on TruthUnity. So, in November 2016, we had these talks transcribed. When the text of all eight lectures is combined, this adds up to over 150 pages of text. So you can read along as you listen to Eric Butterworth speak. Also important is that Google can also "read along" as it crawls and compiles these wonderful talks and so make them available to 21st century people who are searching on the Internet for insights about better ways of living.